with mini chocolate bits and dusted with confectioners sugar. 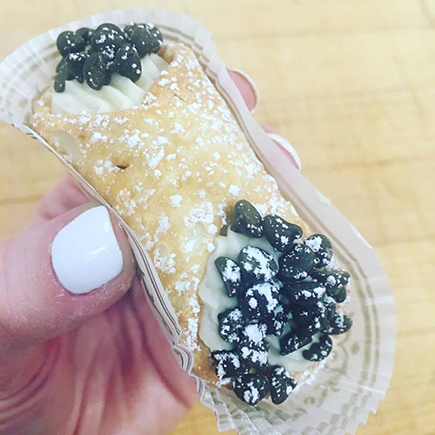 Our November specials are all things pumpkin. 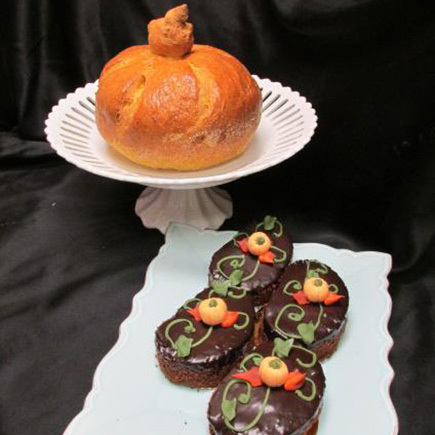 Our November specials are all things pumpkin –pumpkin brulee, pumpkin diplomats, pumpkin cheesecake, pumpkin cupcakes, pumpkin cookies, pumpkin bread, pumpkin pie and apple strudel. 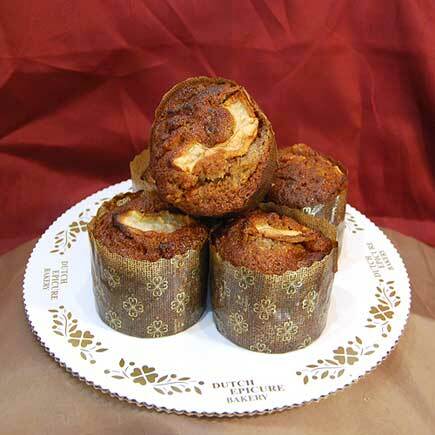 walnuts and apple cider for these muffins. Garnished with fresh sliced apples. 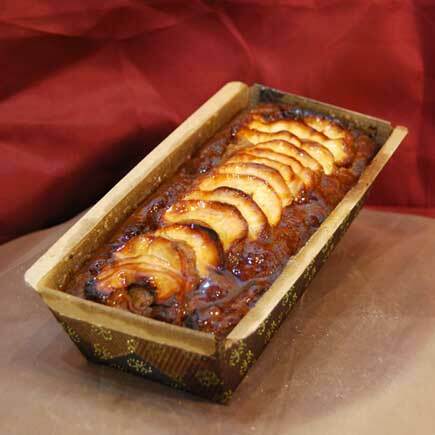 walnuts and apple cider for this loaf cake. Garnished with fresh sliced apples. 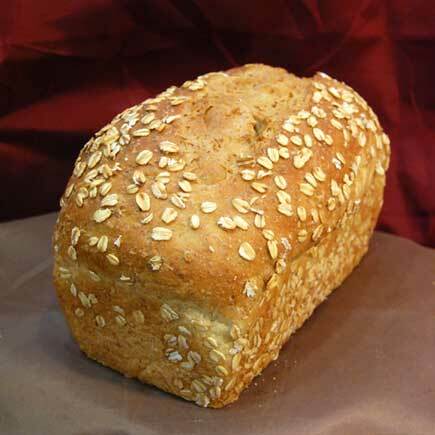 wheat, corn, oat, millet, sesame seed, sunflower seed and spelt. 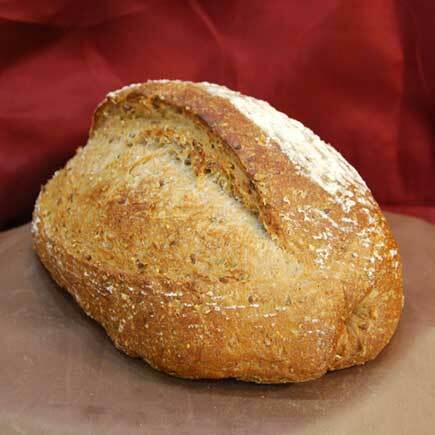 A mix of sour mash, water, whole wheat flour , “green” high-gluten flour and salt. 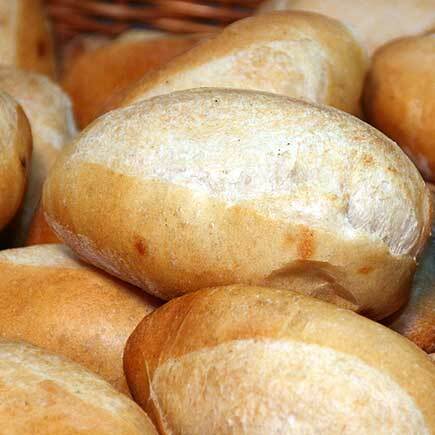 the bread time to develop its full “strength” and adds an incredible full flavor. 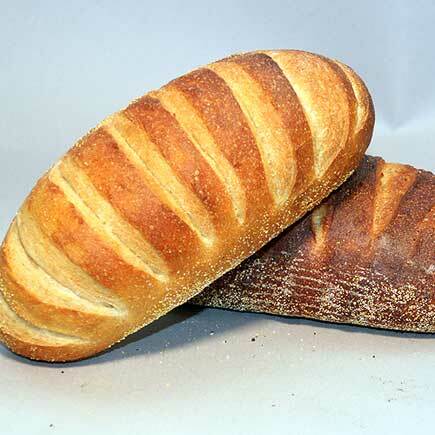 The absence of fat in our French creates a thin, crisp crust. 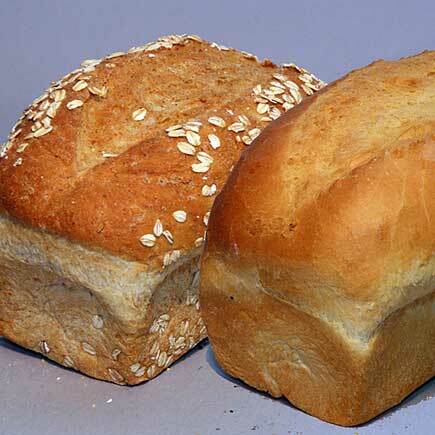 This bread is made from a rolled oat, water, sugar, vegetable and yeast mash. Then, it is finished with high-gluten flour, eggs and salt. 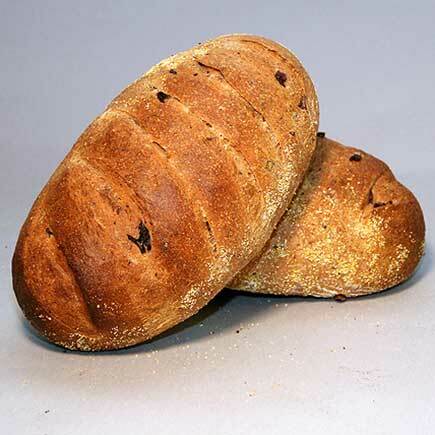 Starting with our sourdough recipe we add fresh rosemary and Kalamata olives.